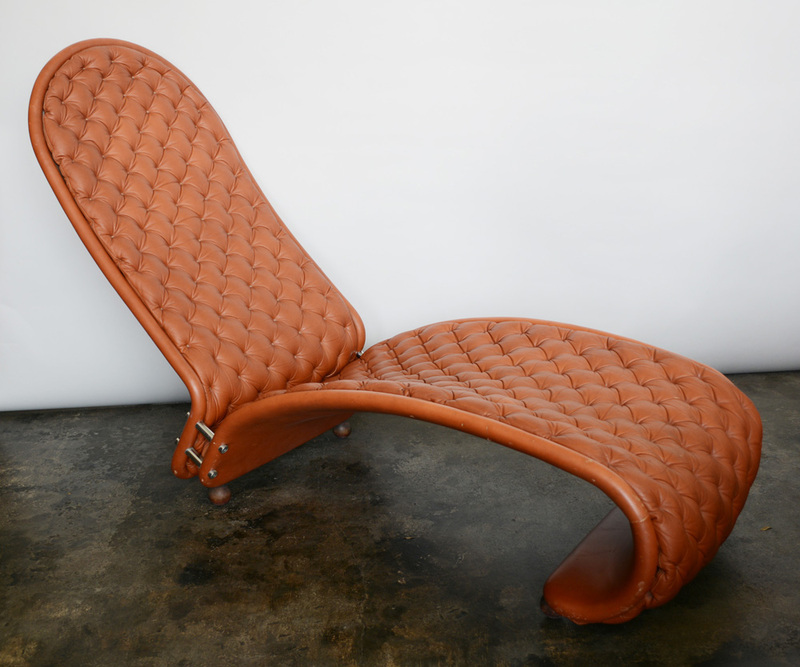 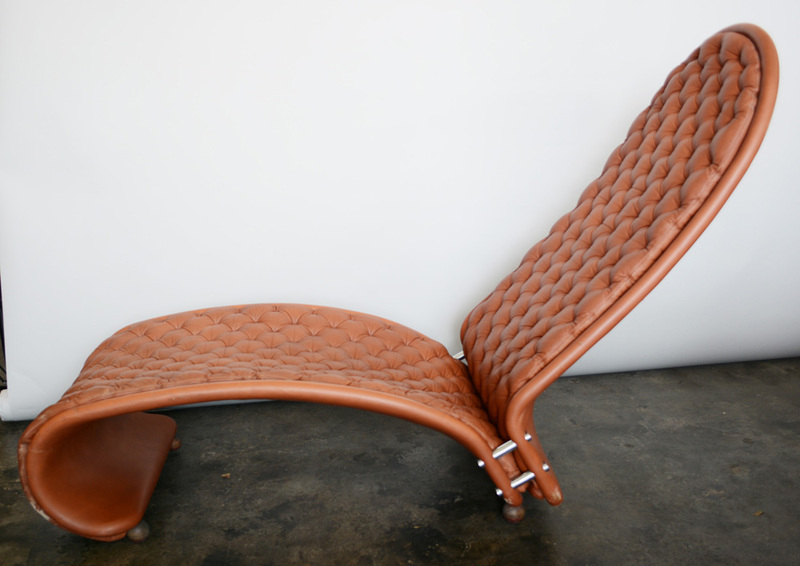 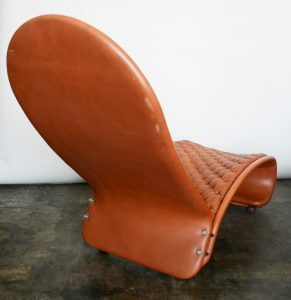 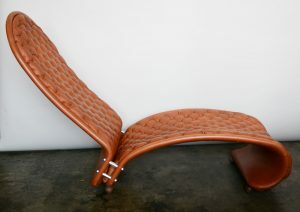 Chaise lounge from the 1-2-3 series of chairs by Verner Panton. 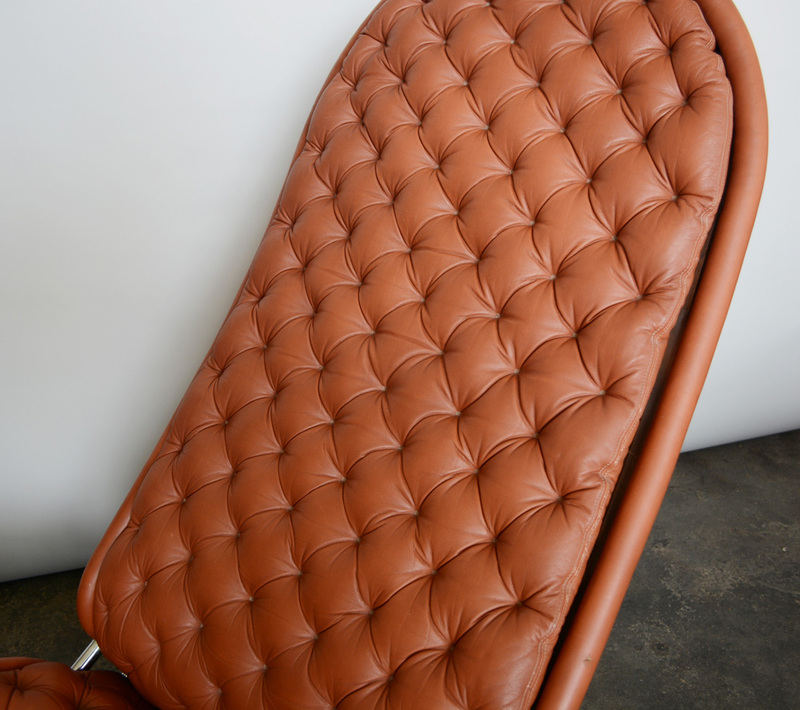 This chair is covered in leather. 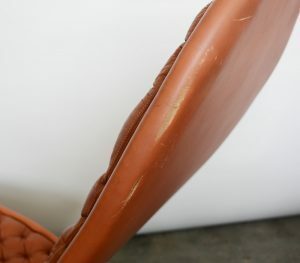 The chair is original and has some wear. 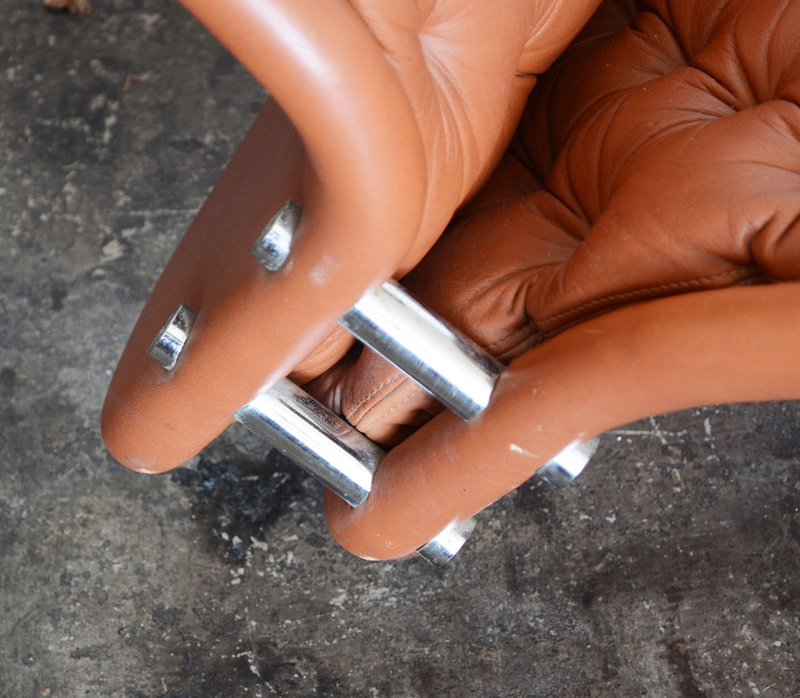 There are some scuffs, color and some light soiling loss to the leather. Contact us for more detailed condition information. 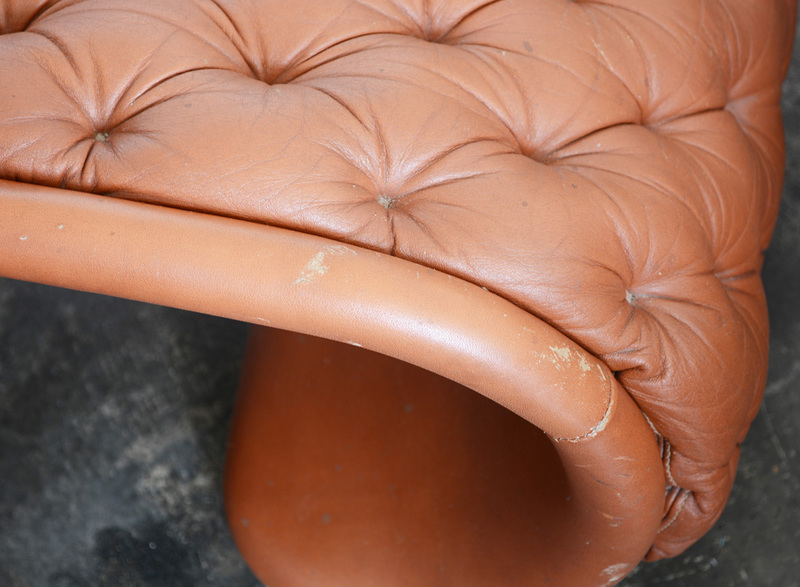 We can also facilitate leather restoration at an added cost.